Agnes; or, beauty and pleasure. Alfred; or the adventures of a French gentleman. The Bronze Statue, or, the virgin's kiss. Canonbury House; or, the queen's prophecy. A historical tale. The Coral Island; or, the hereditary curse. The Days of Hogarth; or, the mysteries of old London. The Drunkard's Progress. A tale in two periods. Ellen Percy; or, the memoirs of an actress. Faust: a romance of the secret tribunals. Joseph Wilmot; or, the memoirs of a man-servant. Kenneth: a romance of the Highlands. Leila, or, the star of Mingrelia. The Loves of the Harem; a tale of Constantinople. Margaret; or, the discarded queen. May Middleton; or, the history of a fortune. The Mysteries of London. Second series. The Mysteries of the Court of London. The Mysteries of the Court of London. First series. The Mysteries of the Court of London. Second series. The Mysteries of the Court of London. Third series. Omar: a tale of the war. The Parricide; or, the youth's career of crime. Pickwick Abroad; or, the tour in France. Pope Joan; or, the female pontiff. Rosa Lambert: or, the memoirs of an unfortunate woman. The Rye House Plot; or, Ruth, the conspirator's daughter. 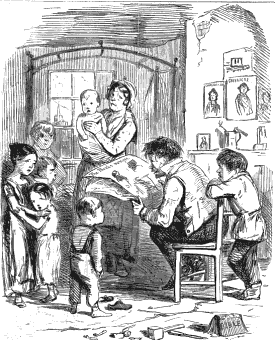 The Seamstress; or, the white slave of England. Wagner, the Wehr-Wolf. A romance.